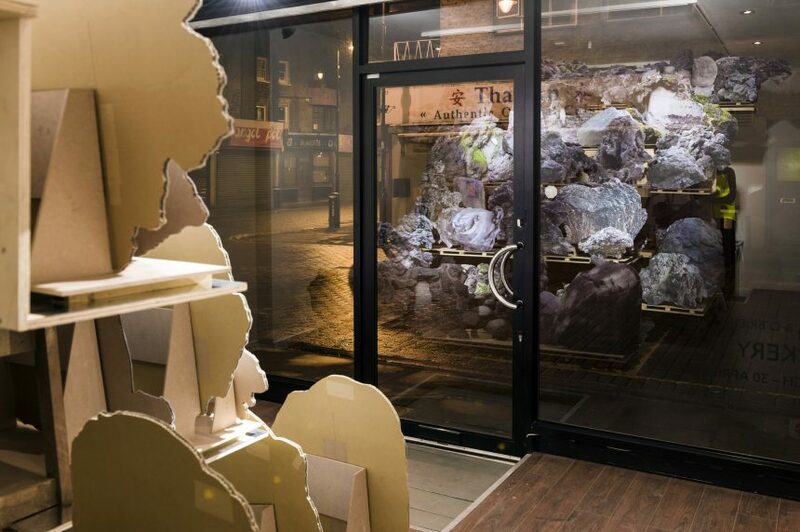 Rockery filled the upstairs gallery at White Conduit Projects with an assembly of ‘rocks’. 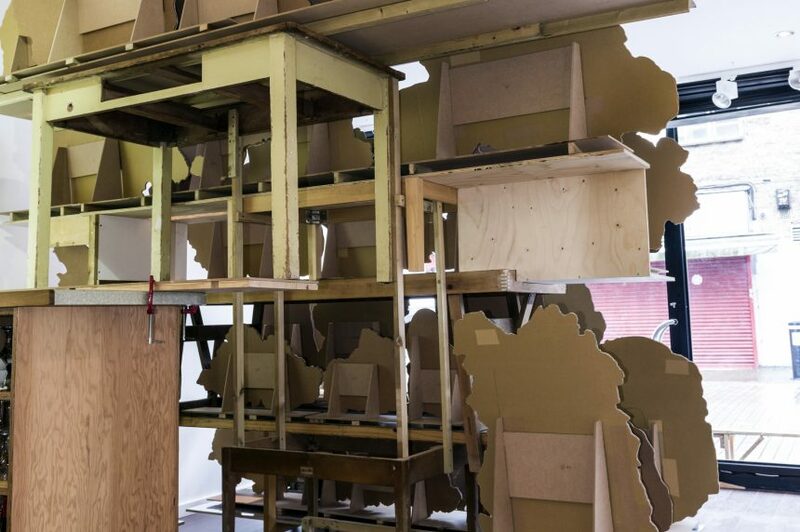 Echoing the thriving market stalls around the corner from the gallery with shelves and structures for display. 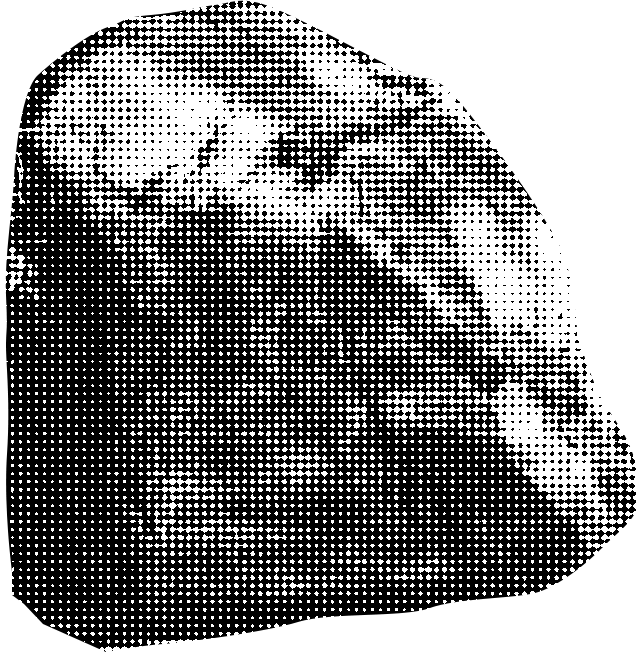 The work appears to be in tune with its immediate surroundings while its origins are clearly more distant. 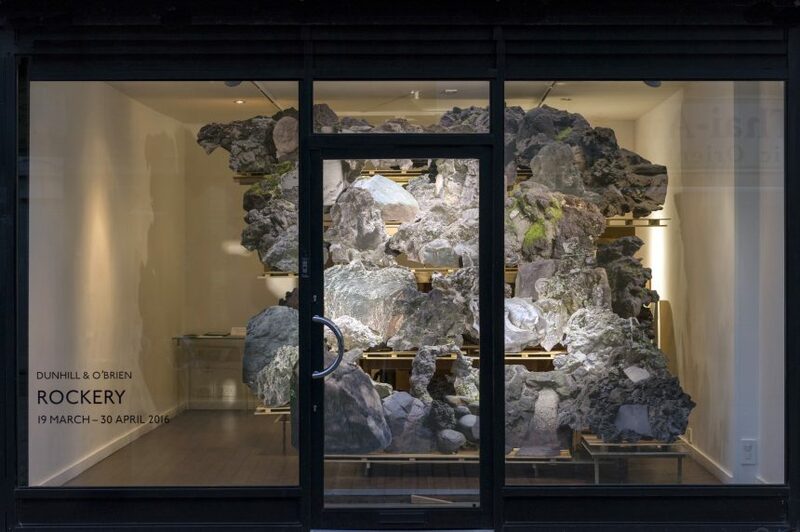 During residencies in Japan, Dunhill and O’Brien have been intrigued by two particular cultural phenomena – Suiseki*, often referred to as the ‘Art of Stone Appreciation’, and Fujizuka**,surrogates of Mt Fuji constructed by groups of Fuji devotees during the Edo period. 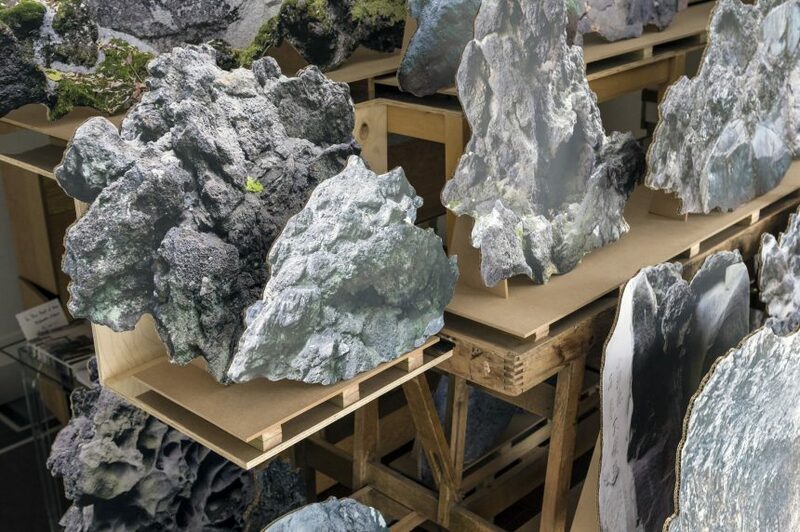 Both Suiseki and Fujizuka involve the re-presenting of forms of nature, bringing the wild and chaotic, massive and uncontrollable into a manageable, human size. Made or selected with great seriousness and purpose they also reveal something of the perversity and scale of human endeavour. The compulsion behind these cultural forms resonates with Dunhill and O’Brien’s motivation to make sculpture that seeks meaning in the awkward, unlikely and ungainly. 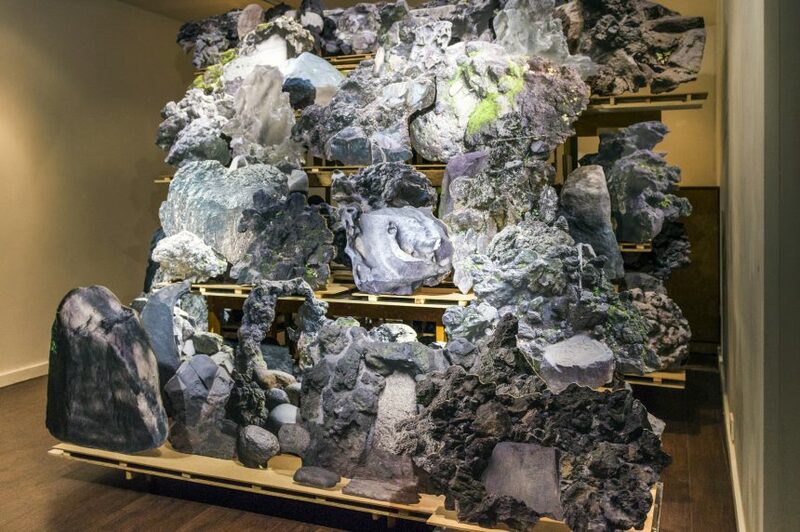 This exhibition responds to a month long expedition seeking out existing Fujizuka in the Tokyo region alongside regular visits to measure rocks, stones and boulders in the UK (identified through the artists developing collection of postcards of ‘celebrity’ rocks sourced from ebay). * Suiseki (an abbreviation of the term sansui keiseki, which translates as “landscape view stone”) involves the selection and display of found stones, usually chosen for their resemblance to landscape forms, particularly mountains. Collected and presented on tailor made stands or trays, they are a somewhat oblique form of memento mori. Suiseki are highly prized and treated as objects to be contemplated and revered having a tradition that dates back to the Nanbokucho era (1336 to 1392). 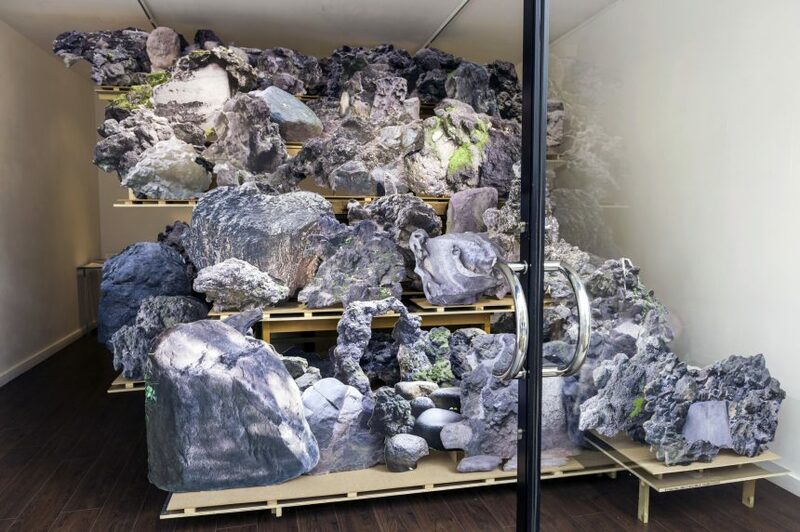 ** Fujizuka – In the Edo period (1603 to 1868) over a thousand Fujizuka ranging from 5 – 30 metres high were constructed in and around Tokyo from tonnes of lava rocks collected and transported from the sacred mountain. At that time when women and the infirm were not permitted or able to climb the volcano, these ‘land art’ constructions were built for the local community, to simulate the experience of climbing the final and most sacred stage of Mt Fuji, often serving as a platform to view Mt Fuji. Some of these Fujizuka remain more or less in tact hidden in between high-rise apartments in the centre of the city or in unlikely suburban areas. Fujizuka visited for this work: Asakusa Fuji; Ekoda Fuji; Fukagawa Hachiman Fuji; Hakusan Fuji; Higashi Okubo Fuji; Igusa Fuji; Ikebukuro Fuji; Itebashi Hikawa Fuji; Jujo Fuji; Kanda Yanagimori Fuji; Kanda Fuji; Kami Ochiai Fuji ; Komagome Fuji; Meguro Fuji; Meguro Moto Fuji Ato; Meguro Shin Fuji Ato; Minami Senji Fuji; Naruko Fuji; Nishi Okubo Fuji; Otowa Fuji; Oiki Fuji; Oizumi Fuji; Okawa Fuji; Sunamachi Fuji; Sendagaya Fuji; Senju Miyamoto Fuji; Senju Yanagihara Fuji; Shimokamata Fuji; Shinagawa Fuji; Shirahige Fuji ; Shinjuku Fuji; Shitaya Sakimoto Fuji; Tabata fuji; Takada Fuji; Teppozu Fuji; Tomizuka Fuji. This exhibition was made possible due to the generous support of Youkobo Art Space and The Japanese Agency for Cultural Affairs. 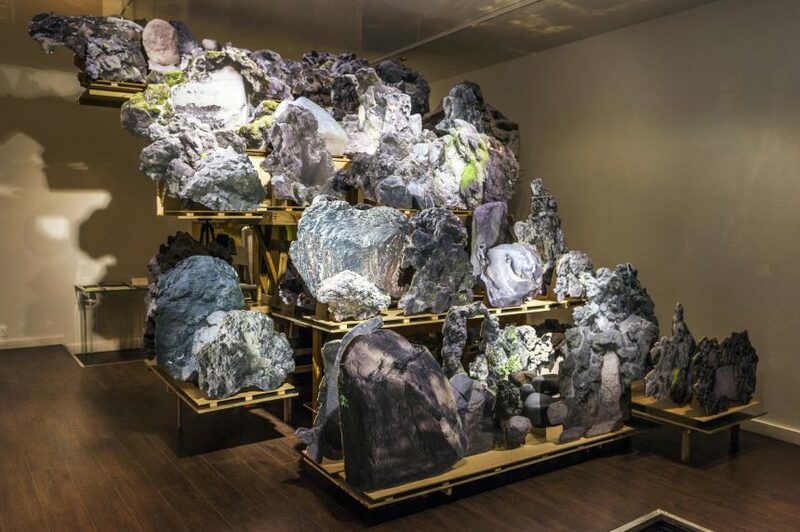 With special thanks to: Yuki Miyake (co-director of White Conduit Projects), Tatsuhiko and Hiroko Murata (joint Directors of Youkobo Art Space); Yoko Arisaka (Artist and Fujizuka expert); Satoshi Ikeda and Jaime Humphreys (expert translation for research).